Women gather at Coffee and a Conversation on Tuesday morning held at the American Legion in Shadow Mountain. It was the first big event hosted the Senior Social Center. The Flower Mine in Craig donated flowers to the event. Craig — Smiles, good conversation, warm coffee and a sense of friendship lit up the American Legion on Tuesday morning, where nearly 50 senior citizens gathered to enjoy one another’s company. It was the first big event hosted by the Senior Social Center that was created by the hard work and dedication of Craig’s finest elders. Although the committee that formed the center is still in the infancy of planning, the group had an impressive turnout for its first big event, called Coffee and a Conversation, which will take place from 9 a.m. to noon for the next three Tuesdays at the American Legion in Shadow Mountain. The camaraderie among attendees was enough to warm anyone’s heart, as senior citizens crave companionship just as much as the next person. “Seniors need a connection with each other. They need that community to keep active and vital,” said Jackie Camp, who helped form the Senior Social Center. Since the group doesn’t have its own designated building to host activities, the legion building made the most sense for the coffee event. “We’re going to use what’s available. We’re trying to do all of this with grants and fundraisers,” Camp said. The seniors found that the world is their oyster as they dive into the grant process for funding. “With all the grants that are out there, we’re a force to be reckoned with,” said Kathy Shea, who is also on the committee. It’s been nearly a year since the idea for a social center was resurrected by the Area Agency on Aging, and each month, the social committee meets to continue the planning process. The idea is a nice addition to the other groups and weekly events that take place in Craig to keep the city’s senior citizen population healthy and happy. The Northwest Colorado Visiting Nurse Association hosts Aging Well Wednesdays each week at The Journey Baptist Church, where dozens of elders meet for exercise, lunch and companionship. “I remember when Wellness Wednesdays started — there were some very unhealthy” seniors, said Mary Morris, community education director at Colorado Northwestern Community College. The connections the seniors made each Wednesday helped bring life and meaning back to their lives, especially those who lost their spouses, she said. “In 10 years, I’ll be retired, and I’ll want a place to hang out,” said Jean Jones, who also attended the event. The Senior Social Center is a great place for elders who feel stuck and need more interaction in their lives, Shea highlighted. 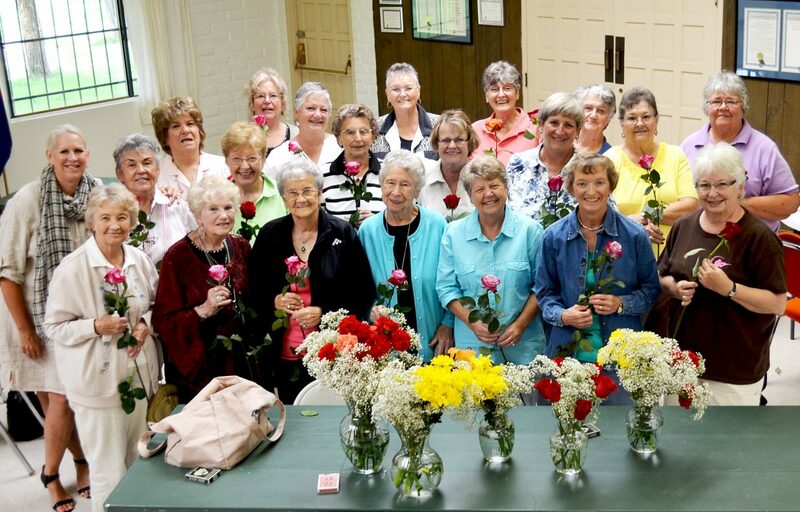 To further brighten their day, The Flower Mine donated bouquets of flowers to the event.